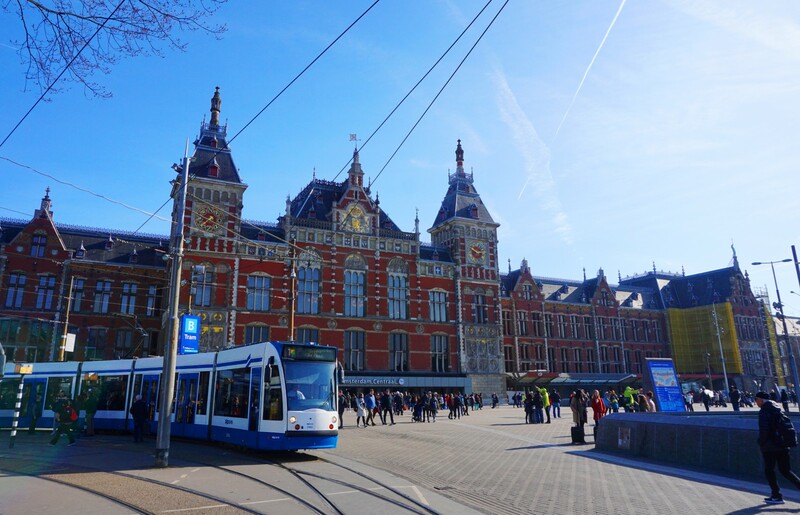 One of my favorite sights in the whole world: Amsterdam Centraal Station. 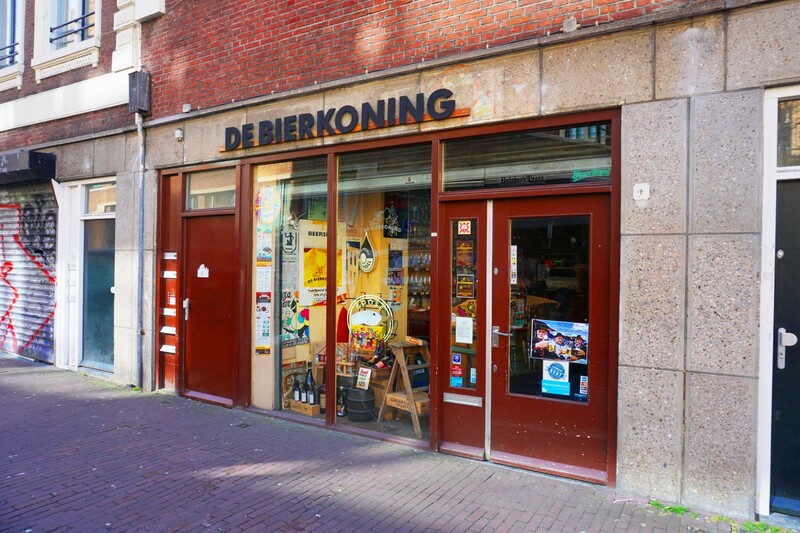 De Bierkoning is reckoned by many to be the finest craft beer bottle shop in the city. 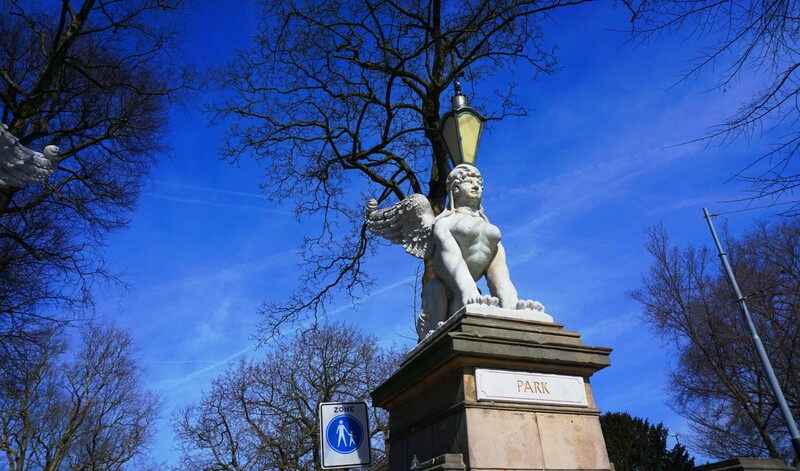 Wertheimpark is the oldest park in Amsterdam. It was opened to the public in 1812, and is named after Jewish banker and philanthropist A.C. Wertheim (1832-1897). It’s located in drop dead gorgeous Plantage, one of the prettiest neighborhood in the entire city. 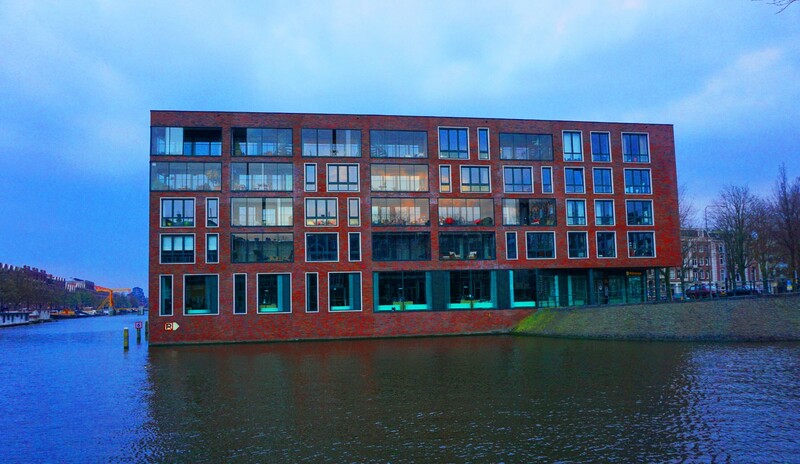 Gartine is one of the best restaurants in Noord Holland. Farm to table as a marketing gimmick is completely played out but as an ethos the angle still has plenty life left in it. The cafe is always packed, and the owners harvest much of the produce they serve from a farm that the owners run outside the city. Reservations necessary. Everyone has a ‘last meal on earth’ restaurant and Eenvistweevis (One Fish Two Fish) is mine. Chef Klaas is putting out impeccable, simple, fresh fish preparations near Het Scheepvaartmuseum, and has been for the past 15 years. When my time has come this will be where I break bread for the last time. 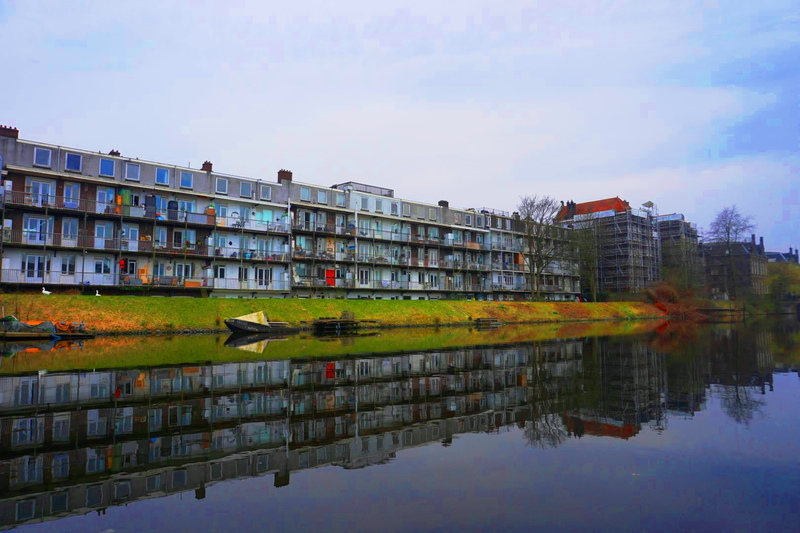 Amsterdam Oost is the Bywater of the city. 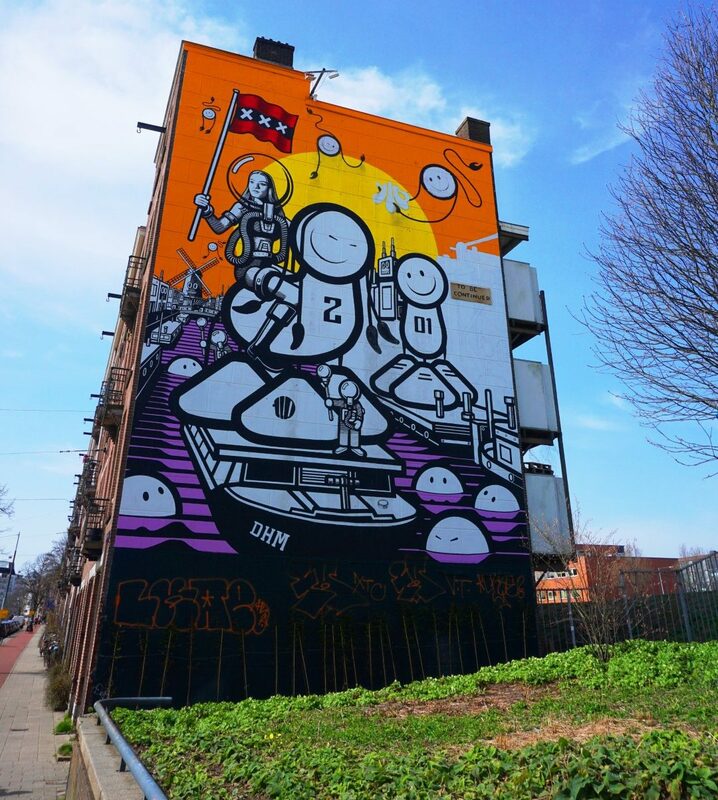 It’s an historical, immigrant’s community that is morphing into a Bohemian sector filled with tiny cafes, coffeeshops, art galleries, fruit and vegetable markets, and long broad avenues stretching to the horizon. 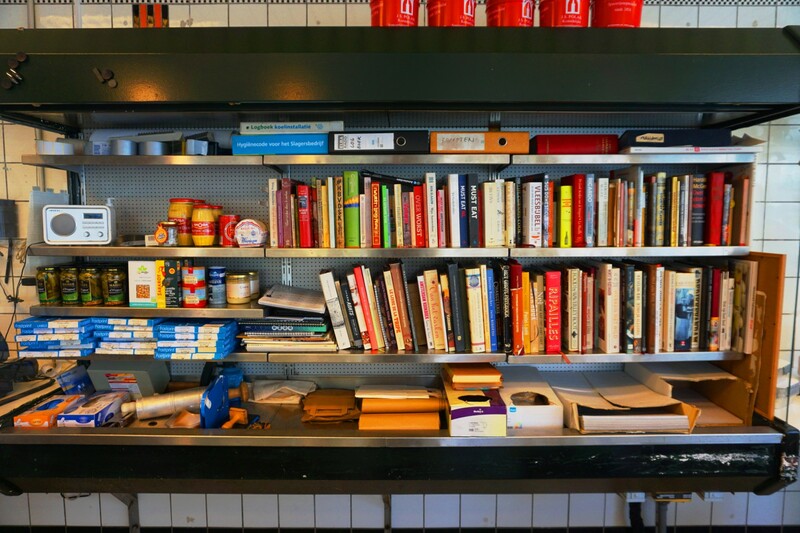 De Pasteibakkerij is the charcuterie workshop and storefront from the team of Diny Schouten and Floris Brester. If you like cured meat and you’re in Noord Holland this is where the conversation begins. Florentinus Marinus (Floor) Wibaut was an alderman and champion of the working class. 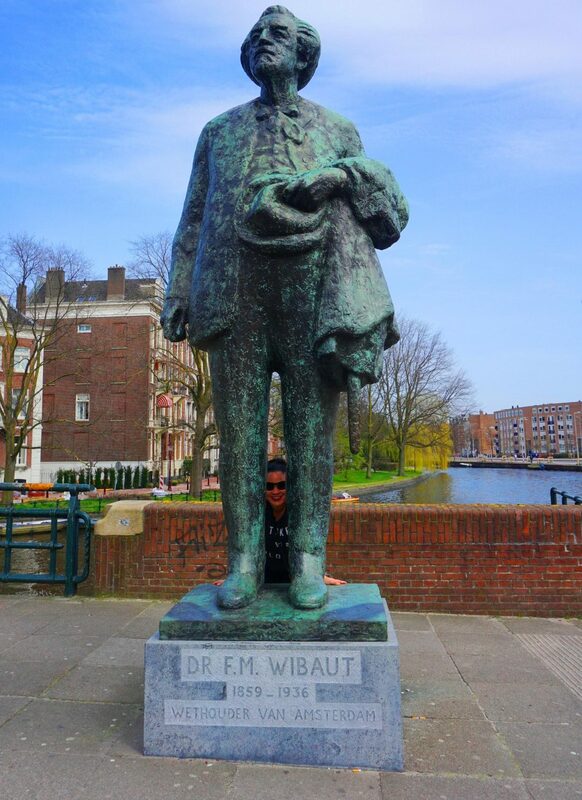 Wibaut established ‘social’ housing in Amsterdam in the early part of the 20th century. He died on April 29, 1936 in the city. In the spring the parks of the city are filled with food vendors. 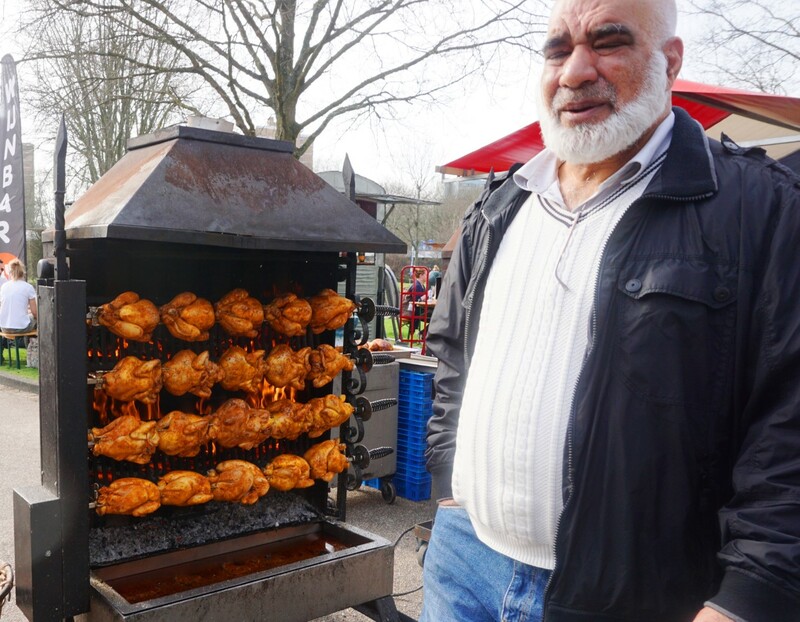 Behold the rotisserie chicken man in Amstel Park. 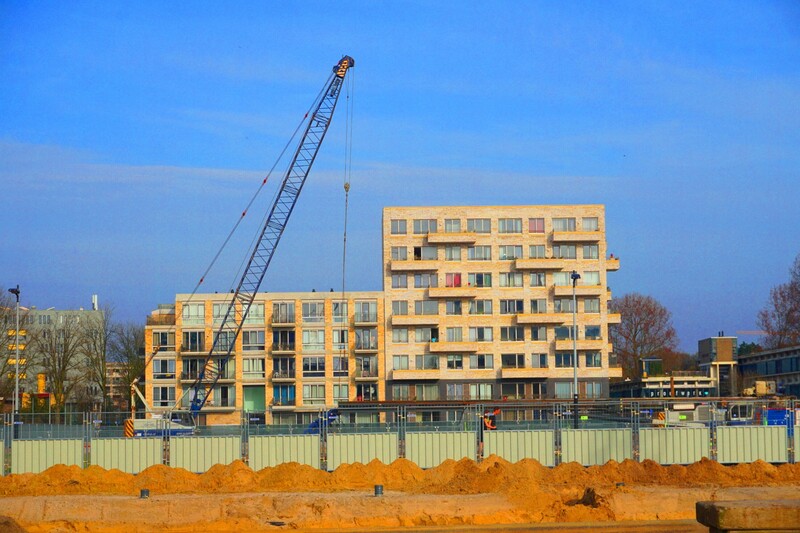 Amsterdam is under construction. The city has a serious housing shortage, and developers are racing to build-out as many units as possible-as quick as possible. The view behind the bar at Butcher’s Tears, one of the top breweries in Amsterdam. 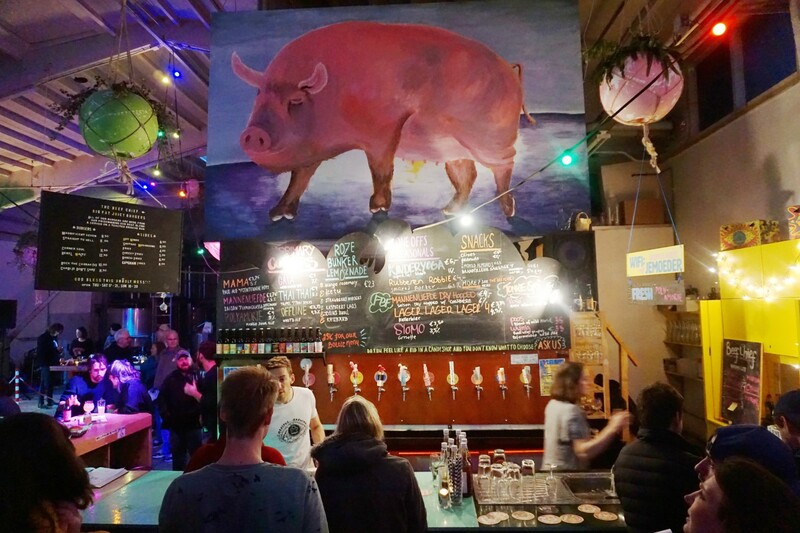 This brewery was brought into being by Felicia von Zweigbergk, Erik Nordin and Herbert Nelissen, and it’s a must-visit if you’re into craft brew. 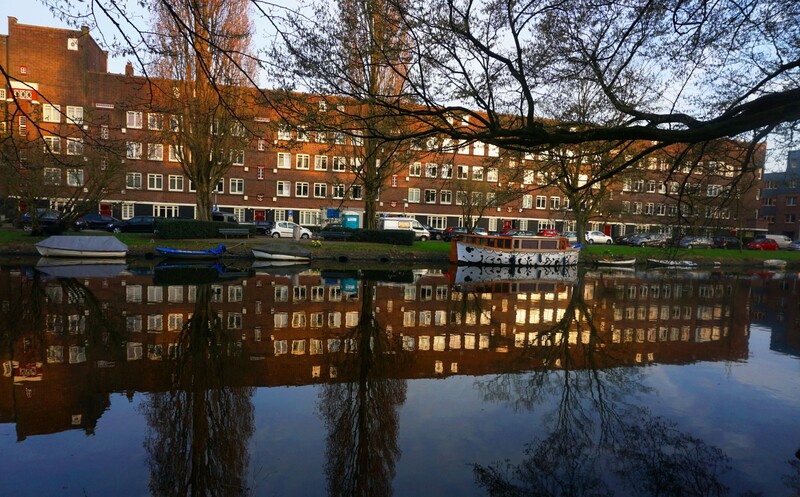 Canal view in Amsterdam Zuid. 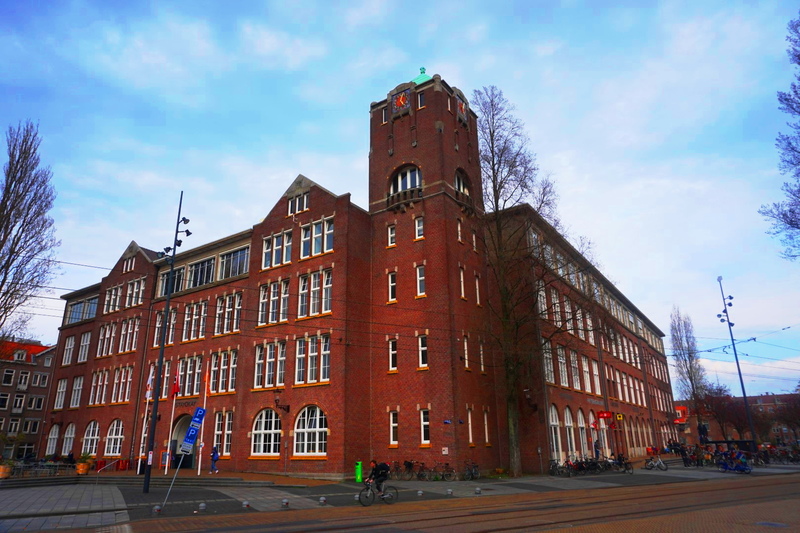 The Amsterdam Lyceum was founded in 1917. 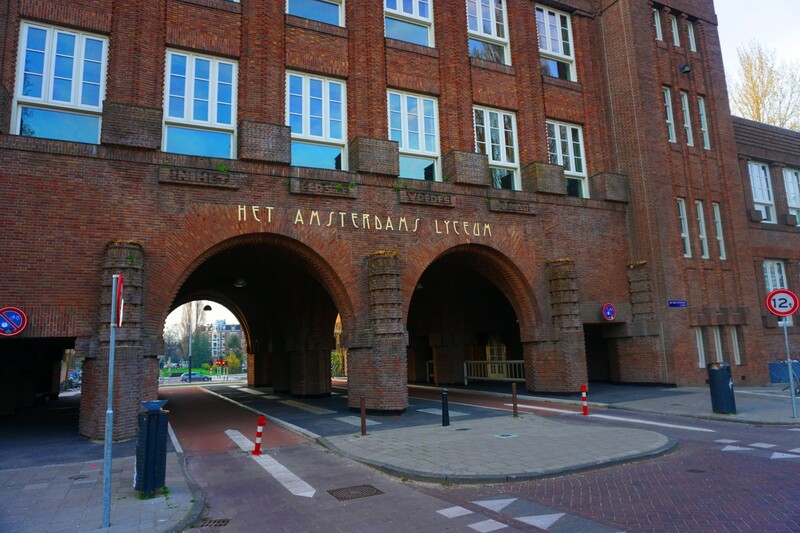 It was designed by architect brothers Herman and Jan Baanders, and is one of the most prestigious high schools in the city. 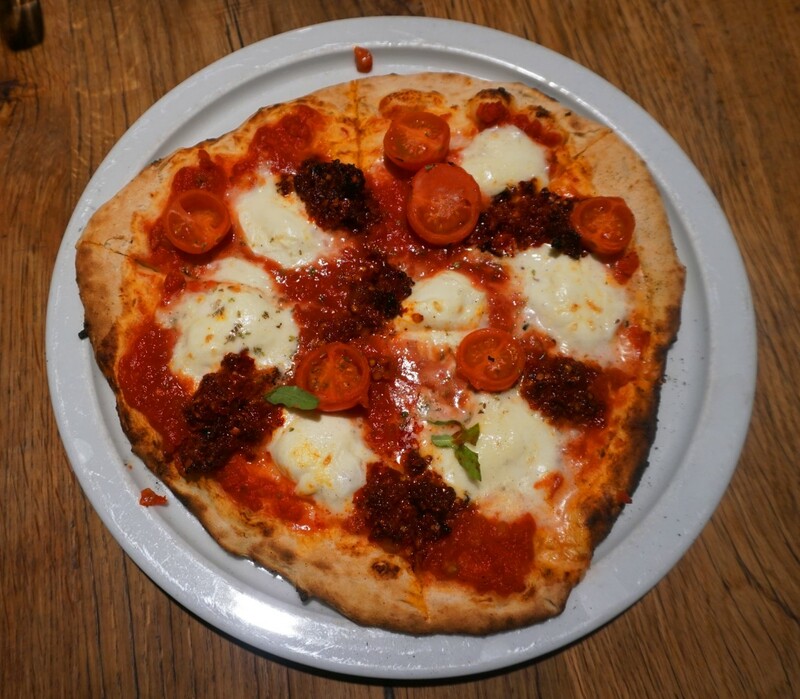 La Perla makes the finest pizza in Amsterdam. If you walk by in the afternoon you’ll see the pizzaiola out front with an ax chopping up oak wood for the big oven. 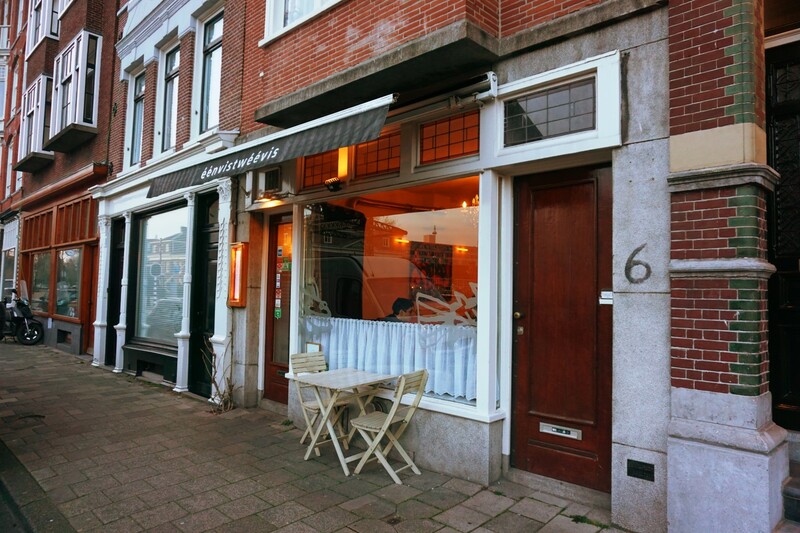 In Amsterdam Oost there is a tiny, Moroccan seafood joint called Vishandel Rinkoen. The patron walks in, points to the fresh raw fish in the cold case, and requests what looks good to him. The monger scoops the fishes off the ice and walks it to the kitchen where it’s prepared. For under 10 euros you’ll have one of the best fresh fish meals of your life. 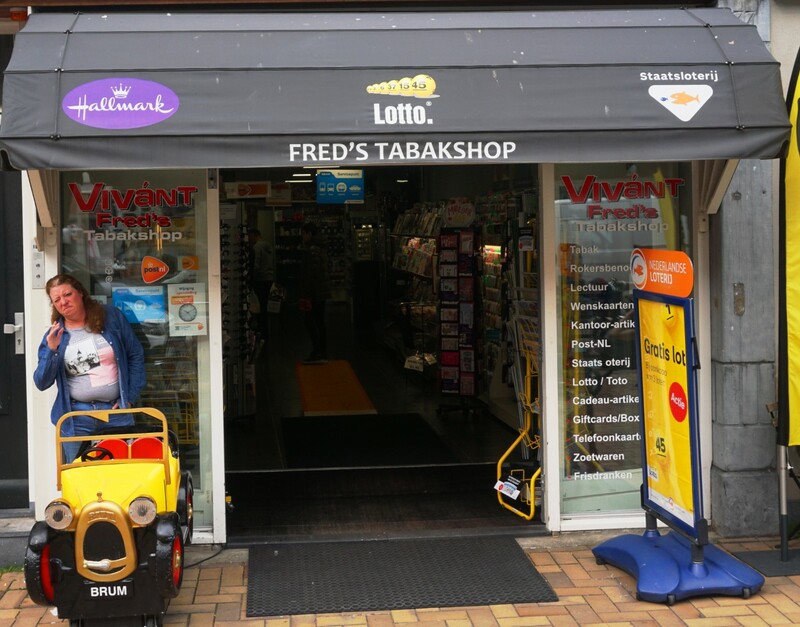 The demonization of tobacco is not at the same fever pitch in Noord Holland as it is in U.S. The view from the houseboat we rented on Zeeburgerpad. Cafe Chris was opened in 1624. 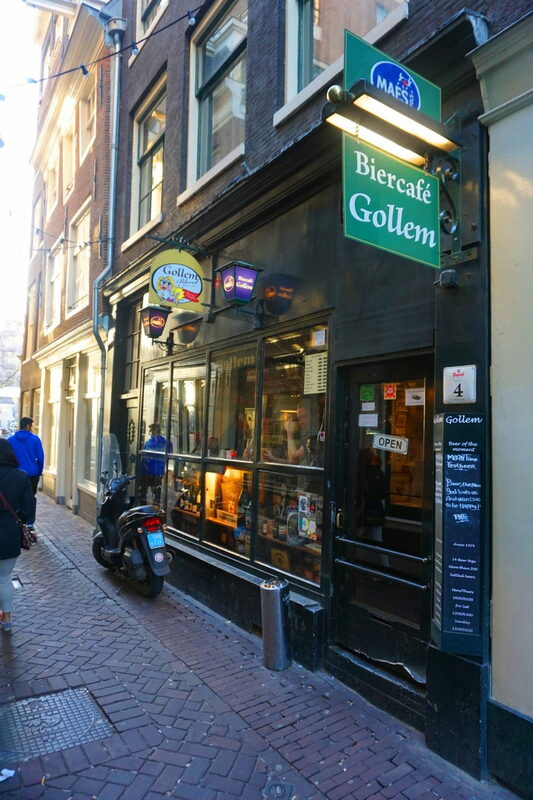 It’s one of our favorite places to have a snack of bitterballen, and a few cold beers. Dam Square on a cool spring afternoon. Broodje Bert is one of the best sandwich shops in the entire city. They also offer a great breakfast. The crowd’s a nice mix of in-the-know locals and tourists who’ve magically stumbled inside. 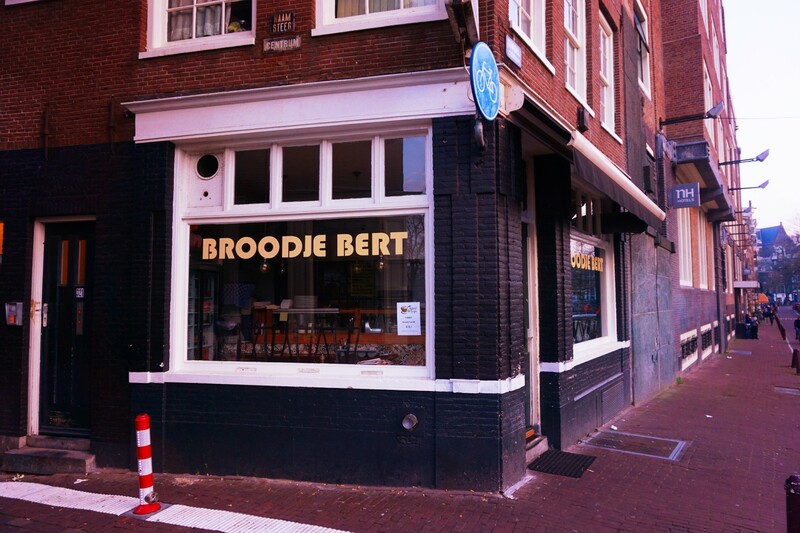 This was the first restaurant I ever broke bread in in Amsterdam. 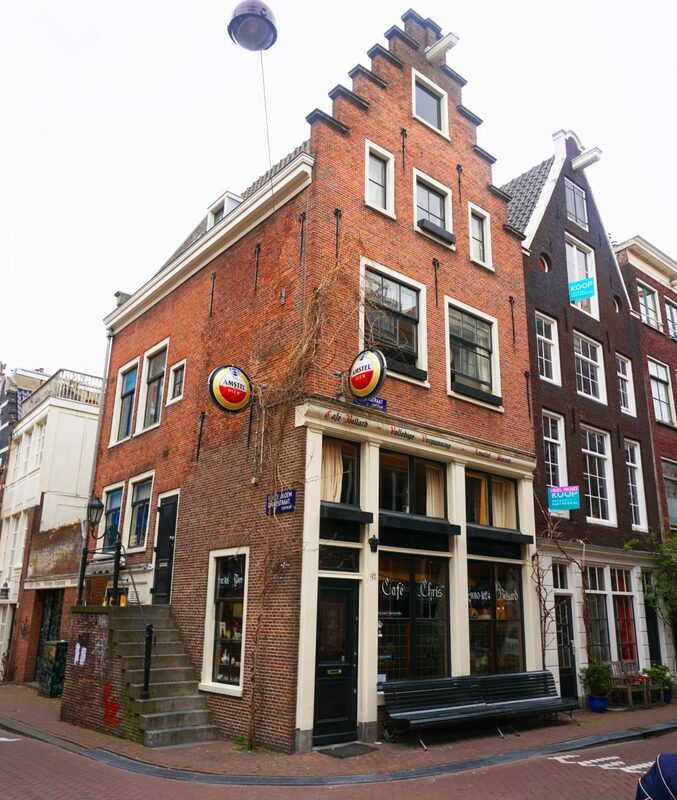 Cafe de Reiger sits in a 19th century building in the middle of the Jordaan. It’s a neighborhood cafe but you will occasionally see travelers come inside. The Dutch spareribs are particularly nice. 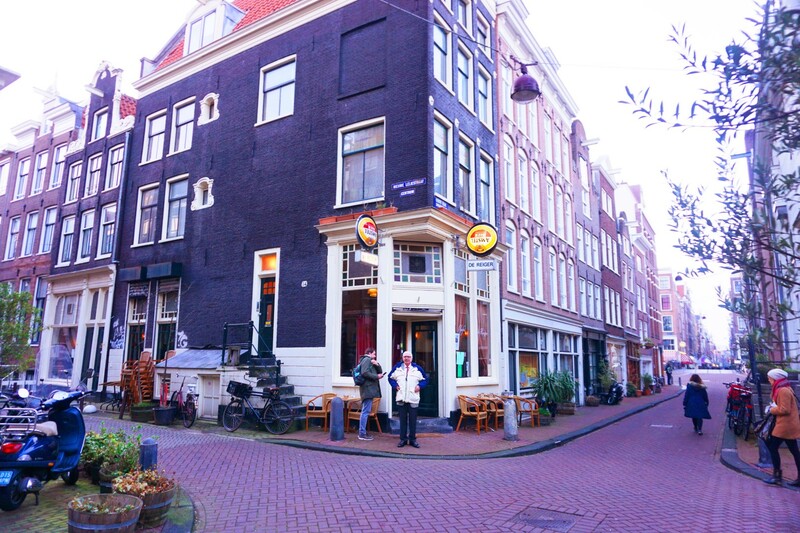 On a ramble through the Jordaan. 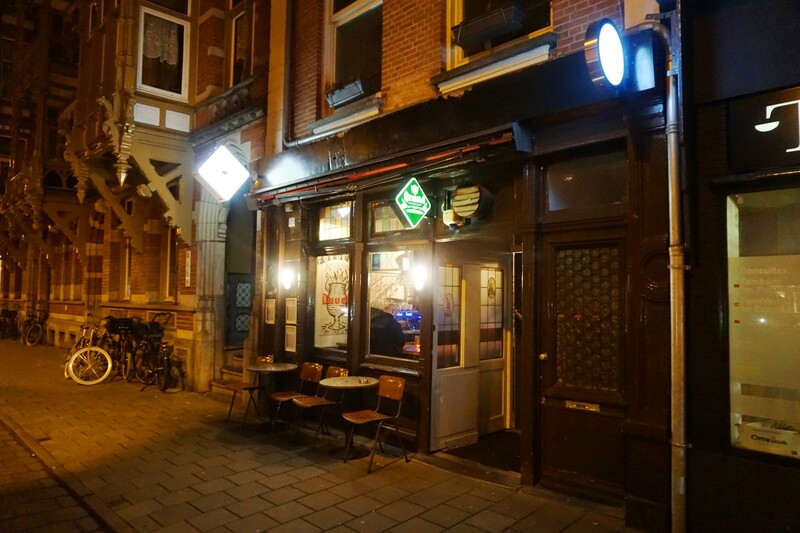 Foeders is one of the best beer bars in the city; particularly if you’re into Belgian drafts. 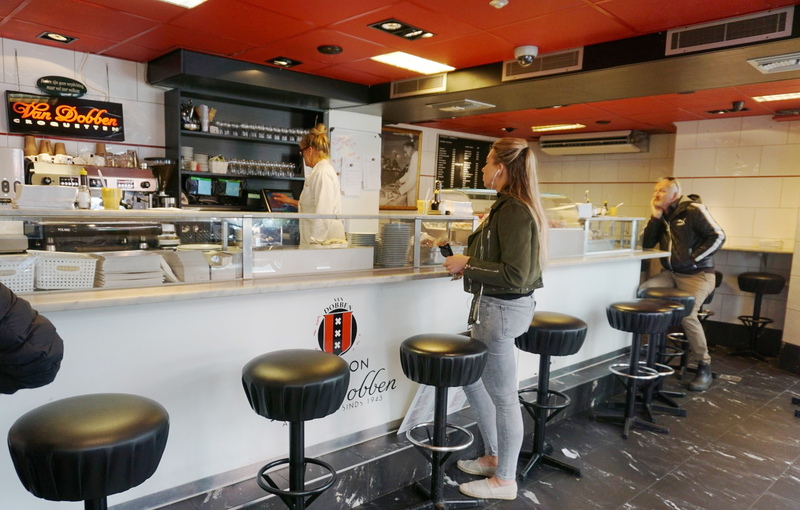 Yuri, the owner, is obsessed with the beers of Belgium. It’s not cheap. Once you do the ratio of centiliters to ounces and euros to dollars you’re paying $10-$15 per pint. Still, it’s a nice rare treat spot. 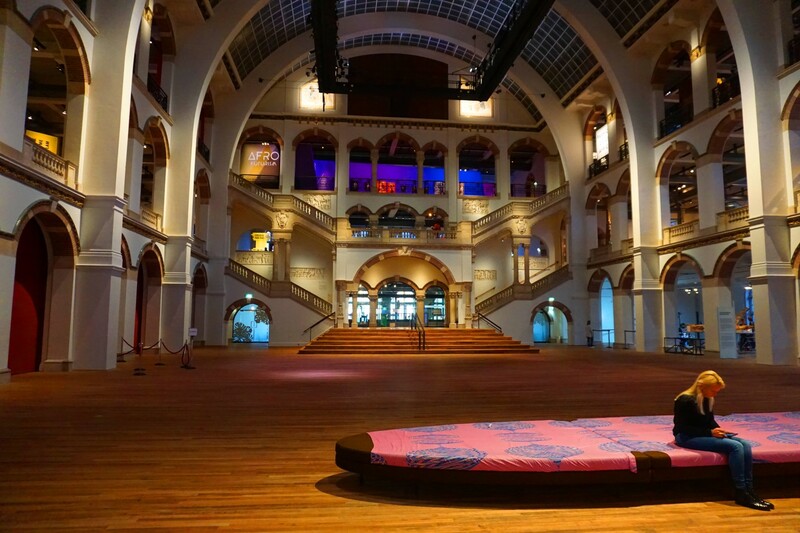 Inside the great hall of the Tropenmuseum in Oost. 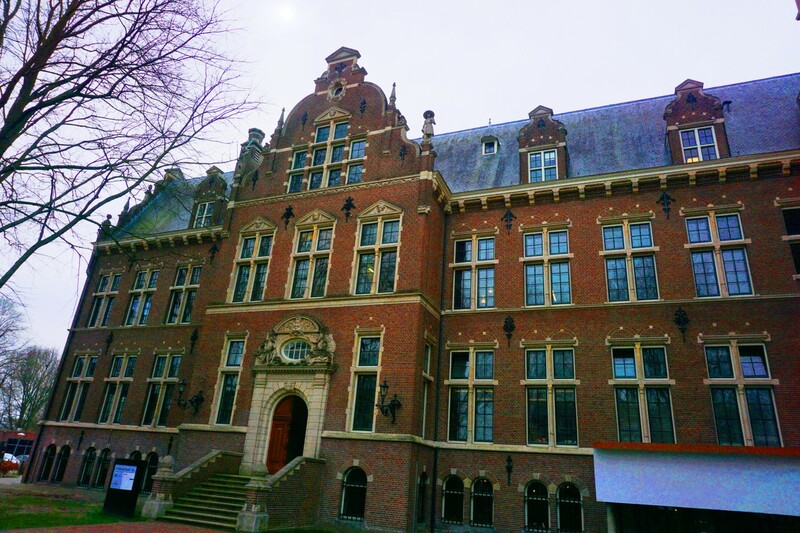 This is an exellent, under-attended museum devoted to “world cultures” and the Netherlands’ colonial past. If you love museums but don’t like crowds this is the place for you. 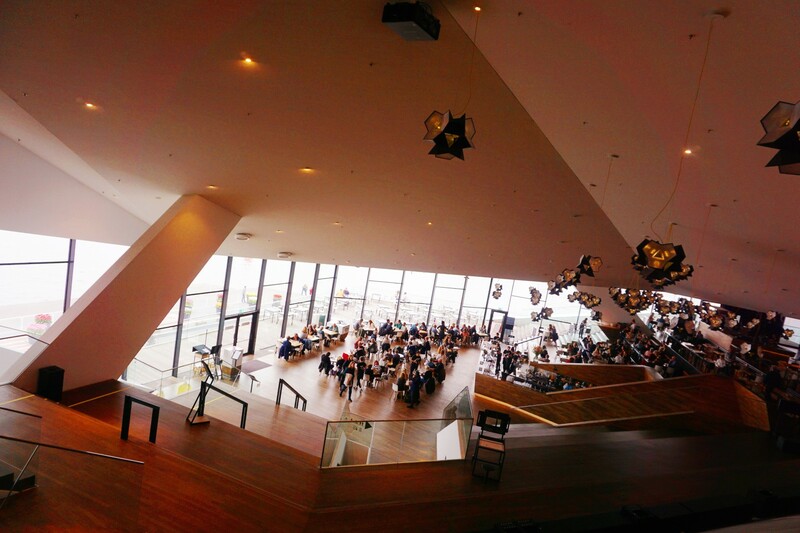 Also, there is a nice cafe with appeltaart and a terrace where you can blaze up with zero hassle. Inside Viswinkel Al Hoceima. 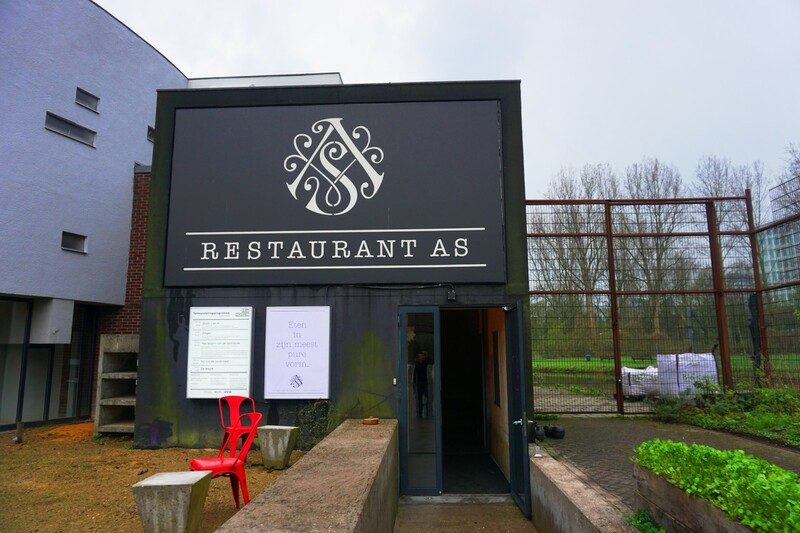 This tiny, Moroccan seafood restaurant is located in Amsterdam Noord. 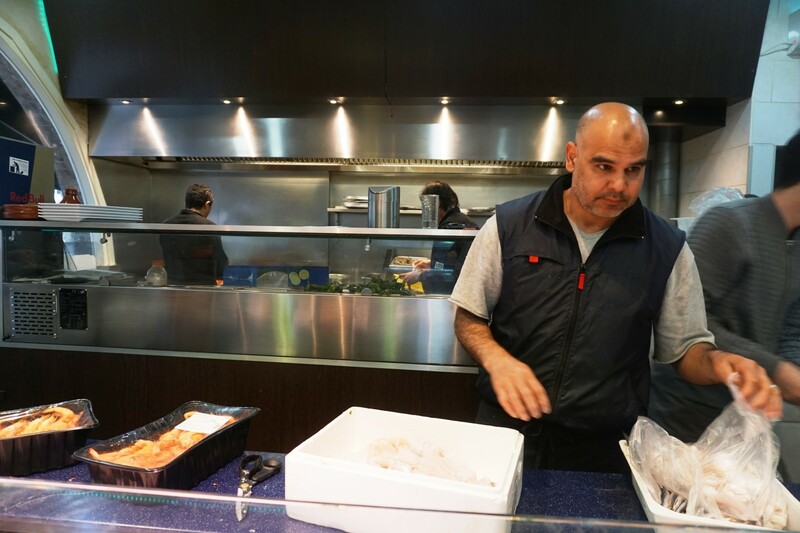 Two people can eat here for around 10-15 euros, and the fish is impeccably fresh. At Oedipus Brewing in Noord. 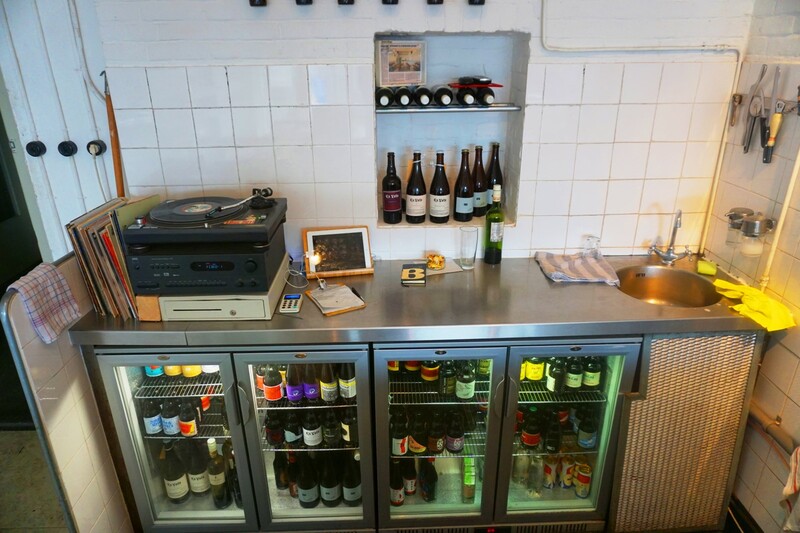 Amsterdam’s craft beer scene is steadily growing and Oedipus is one of the best of the new school. Beef Chief provides the food. 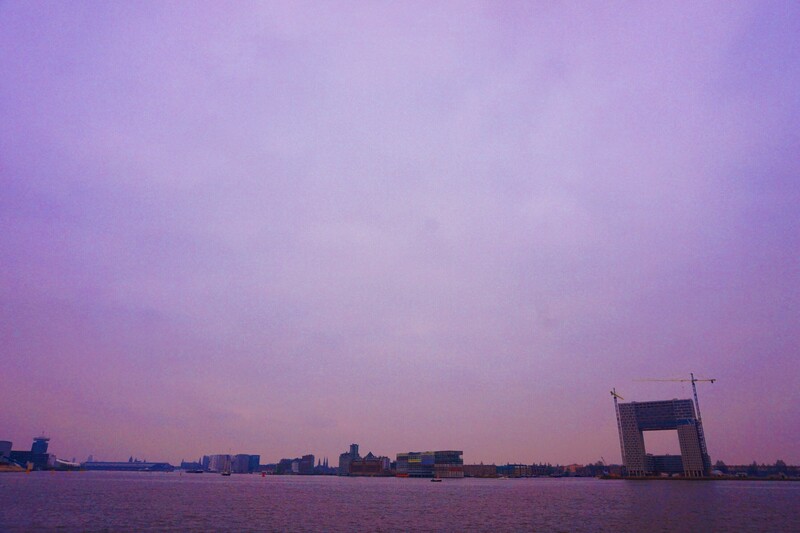 We love taking the ferry from Centraal to Noord to explore for a few hours. 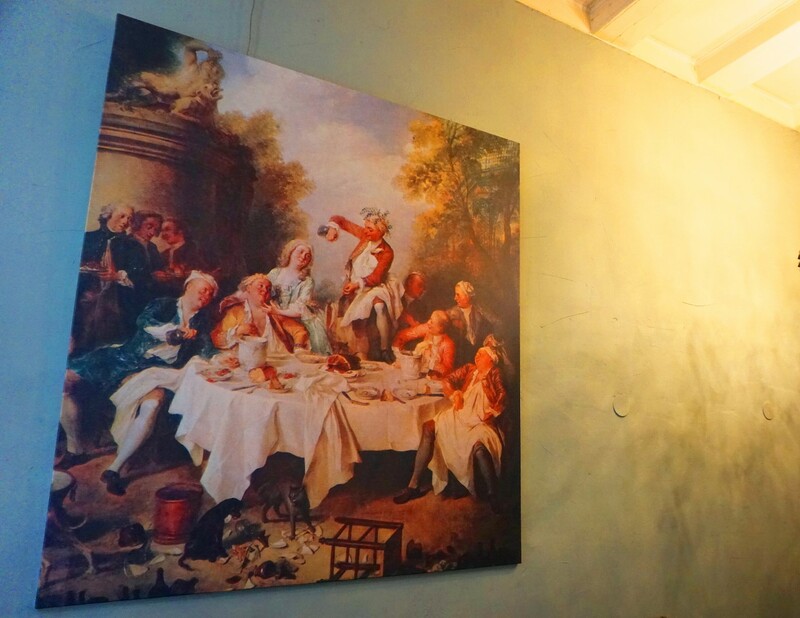 Noorderlicht Cafe is an interesting place to while away an afternoon. 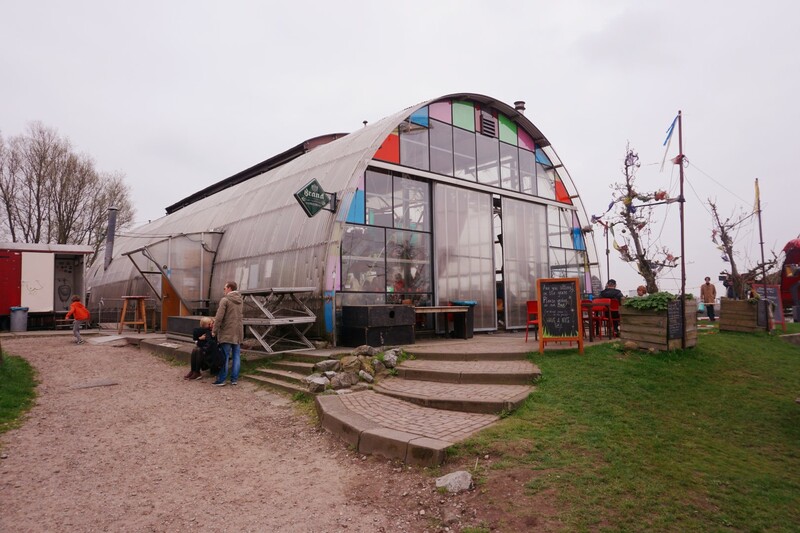 Situated in a big greenhouse with a vast terrace there’s plenty beers, food, and neo-Bohemians afoot. 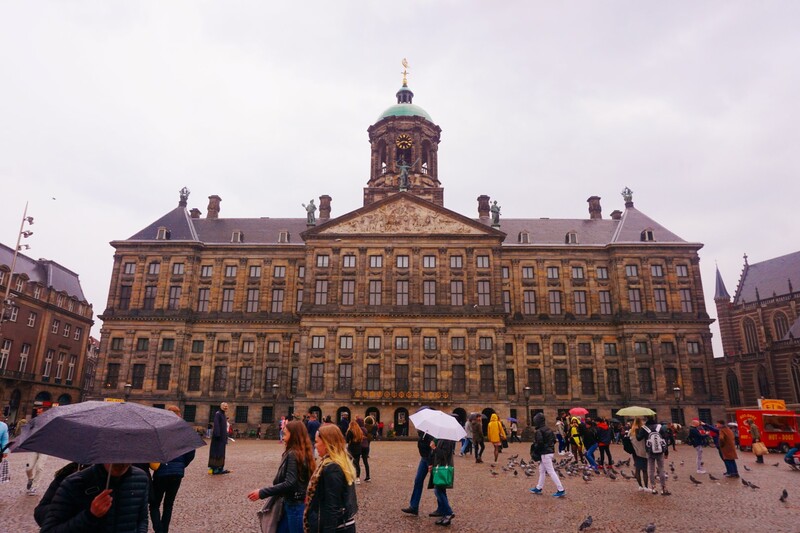 There will be at least one rainy day on your visit to Amsterdam. That’s when you visit the Eye Film Museum and while away the afternoon in a “film pod” watching one of thousands of movies on offer. They also have a cafe with a big terrace where you can burn down til your heart is content. IJ-Hallen is a monthly flea market held in Noord. 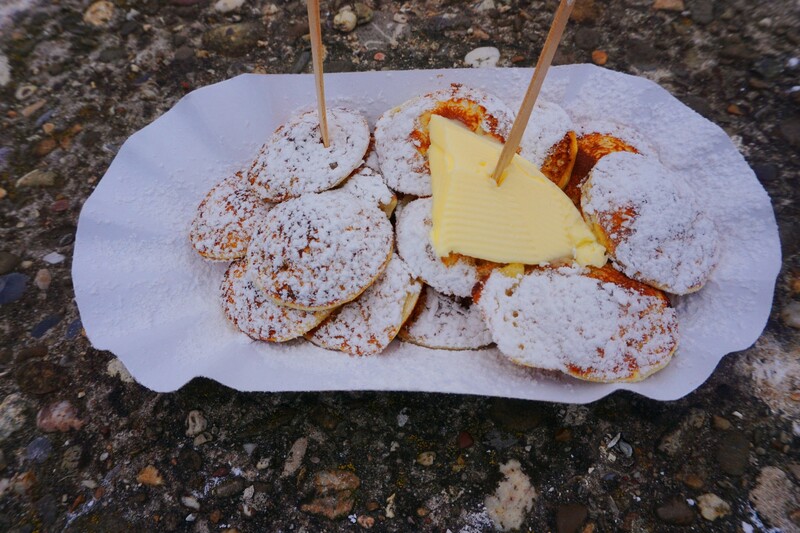 There are acres of bric-a-brac but the real score is a tiny food stall called Lekkere Poffertjes van Richard Klooster where they serve silver dollar-sized pancakes for a pittance. 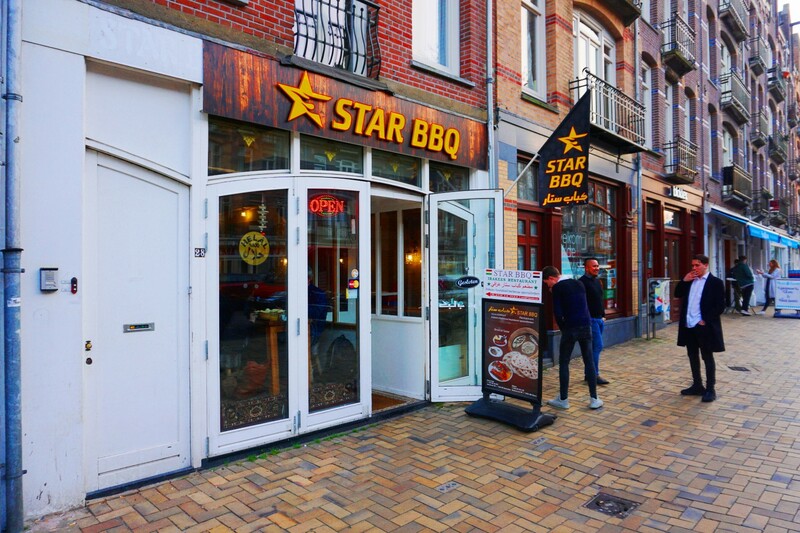 Star Barbecue in Oost. Iraqi-style grilled meats with excellent hospitality. Restaurant As is located in Beatrix Park. They have house-baked bread, cheese and charcuterie programs and are housed in a former church. It’s a weird space. Van Dobben near Rembrandtplein is famous for their croquettes and cheap broodjes. 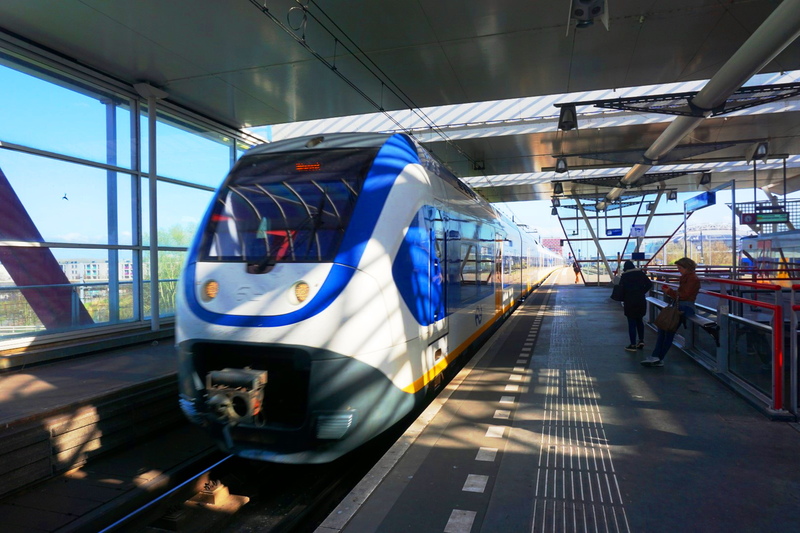 Public transit in Amsterdam is a breeze. Biercafe Gollem on Raamsteeg. 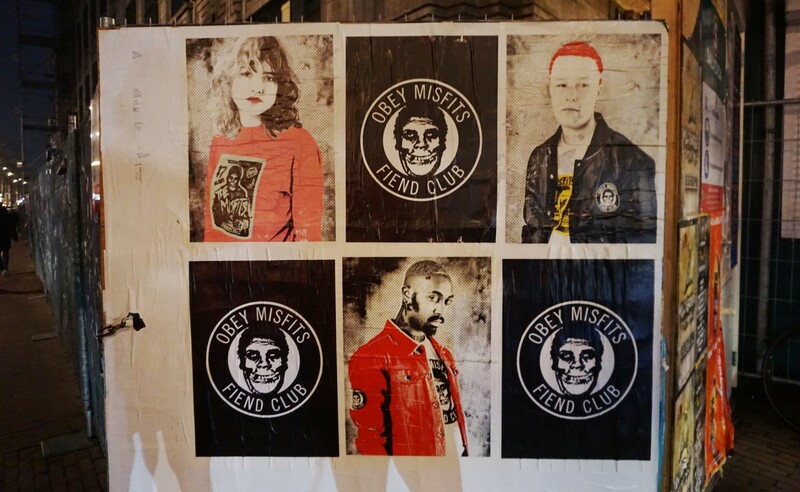 Simply the finest bar in the city, and the first craft beer bar in Amsterdam. 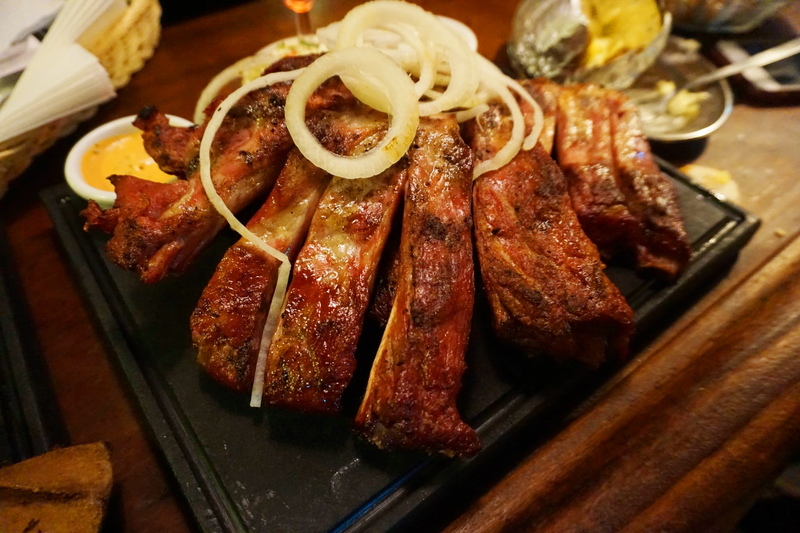 The Dutch have a particular love for barbecue that’s reflected in the abundance of rib shops scattered about the city. Cafe de Klos is the best of the best.